A sense of hope and opportunity for cross-system collaboration resonated throughout the Lyceum on Monday, April 23, 2018, during the fourth IForum of the 2018 series. The event, Ending Family Homelessness: A Focus on the Entire Family, provided an overview of the statewide effort toward preventing and ending family homelessness, national trends, and opportunities for cross-system pollination. Alicia Woodsby, Executive Director at the Partnership for Strong Communities kicked off the event by highlighting the scope of the issue in our state, our progress to date, and our statewide goals for ending family homelessness. She noted that in 2017, there were approximately 1,077 families experiencing homelessness in Connecticut and at the end of March 2018, there were 332 families experiencing homelessness active on the statewide by-name registry, and a median of 52% of families being diverted. One of the most memorable moments of the event was when Mindy Richardson, a mom of four, shared her experience with homelessness, her involvement with child welfare, her battle with addiction, and her recovery. Mindy noted that she had to be open and willing to make the changes needed to have a better life and have faith that things will work out for the better in the future. Her story spoke truth to her faith. 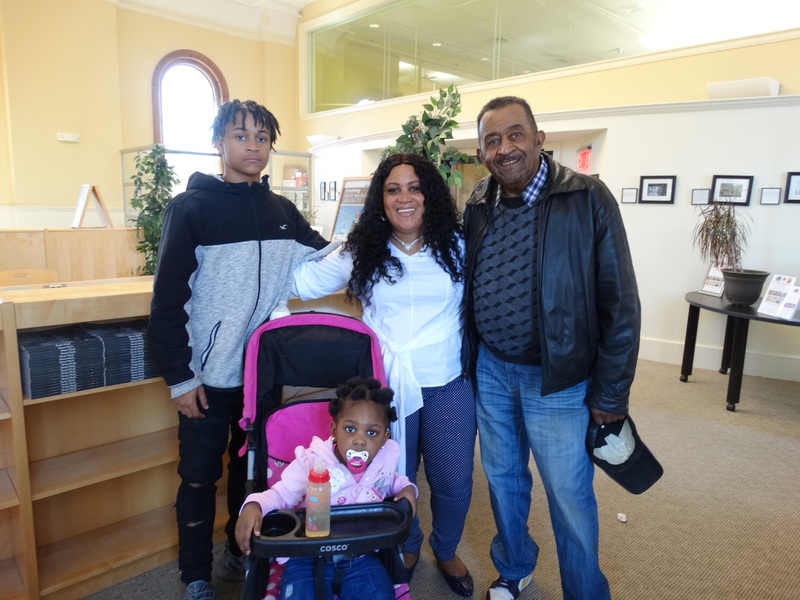 In 2015, after years of experiencing homelessness, she signed a lease for housing with support provided by the Connection Inc. through the Supportive Housing for Families Program. She has been in recovery for four years and has been reunified with her three children that were taken out of her care. Her children are now thriving in school, and she is enrolled as a student at the University of Phoenix and is engaged to the married. Family homelessness is a multigenerational and multisystem issue, and homelessness negatively impacts children’s development and ability to learn. Hearing Mindy’s story and the impact housing had on her children's socio-economic success reinforced the need for all of us to work together to ensure that homelessness among families with children is rare, brief and non-reoccurring. The event featured two speakers - Jasmine Hayes, Deputy Director at the U.S. Interagency Council on Homelessness, and Dr. Mathew Morton, Research Fellow at Chapin Hall at the University of Chicago. Jasmine gave an overview of the national effort to address family homelessness, the work underway, national data, and trends. She shared promising practices that are happening at the local level around coordinated community response, and opportunities to target service rich interventions to the most vulnerable families. While Mathew provided national estimates of youth homelessness, the trajectories of family homelessness and instability in youth, and the intersections of youth and family homelessness through pregnant and parenting youth homelessness. The presentations were followed by a panel discussion that highlighted cross-system collaboration, integration, and outcome driven policies as key drivers for ending and preventing family homelessness.